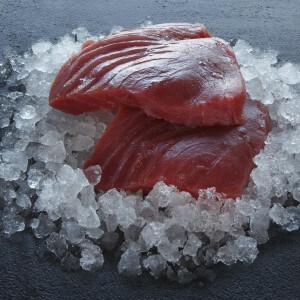 Our tuna supreme has a deep red colour and are a delicious source of Omega 3. They come skinless and boneless and the dark, dense meat is similar to a fine beefsteak. We recommend serving tuna supreme medium-rare, so flash frying or searing on a barbecue or griddle is an ideal way to prepare fresh tuna. The flavour of tuna lends itself to bolder, oriental flavours such as soy, teriyaki, chilli and ginger. Rub the tuna loin supreme steak with olive oil; season with salt and pepper and chargrill each side for two minutes. Serve with a sticky mango salsa. fresh fish from sea to plate. 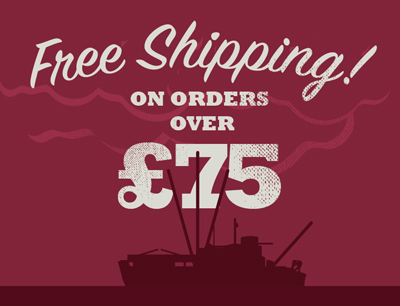 Free Shipping on orders over £75! Click here to view all our special offers. © 2014 Dockside Seafood. All Rights Reserved. 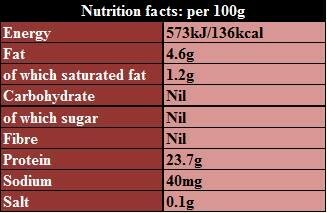 Buy Fresh Fish & Seafood Online. Website created by 2am Media.